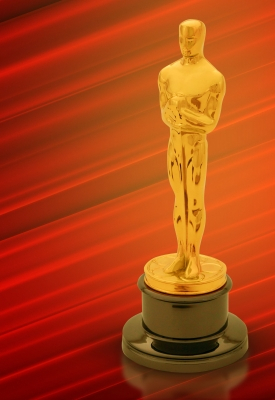 What’s the Oscar Love Curse? Well, as described in The New York Post, it seems that over the past dozen years, nearly every woman to win the Academy Award for Best Actress has broken up with her husband, boyfriend or lover –often just months after gripping the Oscar and thanking their romantic partner from the award show stage. From Best Actresses Gwyneth Paltrow (1999) and Hilary Swank (2000) to Kate Winslet (2009) and Sandra Bullock (2010) –and several others in-between – it certainly does appear that the marriages of Oscar-winning actresses are plagued with bad luck. Even more startling, an in-depth study found that the Oscar Love Curse stretches much further back than just the past twelve years. After looking at the 751 nominees in the best actor and actress categories of the Academy Awards all the way from 1936 through 2010, researchers at the University of Toronto’s Rotman School of Management and Carnegie Mellon University concluded that Best Actress winners have a whopping 63 percent chance of their marriages ending sooner than the marriages of non-winners. By contrast, Best Actor winners do not experience any increase in the risk of divorce after an Oscar. Researchers point to the tension that can arise when traditional gender assignments (where men have more power and status than women) are reversed. “Studies have demonstrated that breaching this social norm within a marriage—for example, when a wife earns more than her husband—can strain the relationship,” said Tiziana Casciaro, an assistant professor of organizational behavior at the Rotman School, who co-authored the study with Colleen Stuart, a post-doctoral fellow at Carnegie Mellon University. And, of course, that strain can manifest itself in a variety of different ways –and you don’t have to be a Hollywood star to suffer the consequences. A second study (this one from Cornell University) used a much wider lens and looked at how disparities in income affected fidelity across the general population. The data showed that men who make less money than their female partners are more likely to cheat; they’re more likely to be unfaithful when they are unhappy about their financial standing and their failure to assume the role of breadwinner. According to the lead researcher, Cornell sociology doctoral candidate Christin Munsch, these men might seek sexual conquests outside the relationship to shore up their threatened sense of manhood. Sadly, I see these kinds of scenarios play out all too frequently with intelligent, sophisticated and successful women. If you’re a smart, successful woman –or one who recently catapulted to even more success –is there anything you can do to protect yourself . . . and your assets? To begin, you need to Think Financially, Not Emotionally®, and take steps now to get your personal finances in order. As an article at MTV.com reveals, Oscar award-winning best actress Sandra Bullock told People magazine her split with Jesse James took her completely by surprise. She said that “never in a million years” did she foresee her marriage unraveling. 2. It must be executed voluntarily and without coercion. 3. It must provide full disclosure (no hiding of assets and/or liabilities). 4. The agreement cannot be unconscionable, meaning that it cannot be completely lopsided giving one party so much more than the other. 5. It must be executed by both parties, preferably in front of witnesses. 6. It should be in a recordable format. For some unmarried women, a Domestic or Foreign Asset Protection Trust is an even better alternative –because it does not require a fiance’s approval. By establishing a Domestic or Foreign Asset Protection Trust, you can transfer ownership of your separate property, including your business, into a trust. The details of this approach are quite complicated, but the bottom line is that by creating the right type of trust, you can make the entire issue of separate vs. marital property irrelevant. This is because, rather than you, the trust would legally own your separate property. 2. Even if you’re already married, don’t rule out a postnuptial agreement or other types of divorce-proofing techniques for your assets. A postnuptial agreement is a contract between husband and wife, and like a prenuptial agreement, it details how assets will be divided in a divorce. Unfortunately, there are still several states that don’t recognize postnuptial agreements –and even in the states that do, they are frequently challenged and often invalidated. Nonetheless, having a postnup in place is probably better than having nothing at all, and remember: There are a variety of different divorce-proofing strategies you can use during your marriage, as well. Many successful women who own their own business can establish buy-sell and operating agreements, other types of trusts, etc. 3. Make a plan. This is the single most important piece of advice I can give you. If you are a successful woman, whether single, happily married or with a marriage in trouble, talk to a divorce financial expert so you can carefully analyze the specifics of your individual case. A trained professional can help you develop a solid financial strategy, one that not only protects your assets, but helps you establish a secure financial future, as well.